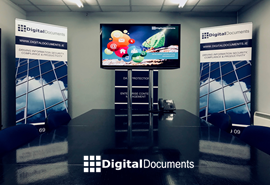 Digital Documents have been providing document scanning and capture services for over 20 years and have become a leading supplier to both public and private sector organisations in Ireland. Digital Documents process in excess of 1.5 million documents each month from it's two state of the art document processing facilities. The company is accredited to ISO27001 for Information Security and ISO9001 for Quality Management. Our experts can help you establish a fast, efficient process for the strategic conversion of your paper records and documents to a digital format. This increases access and reduces storage costs. Digital Documents can scan any size of document from small format documents such as tickets or receipts, right up to large format drawings or plans. Digitising documents, whether it be for archived records or regular capture of live business documents e.g. 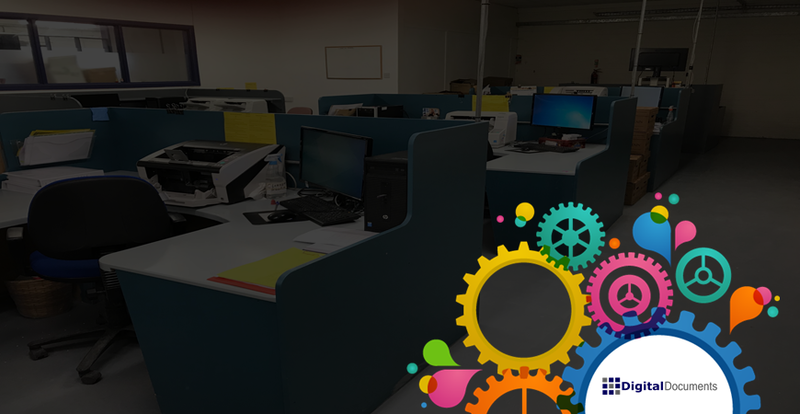 manufacturing records, will free your office space, streamline business operations and allow your employees to work more efficiently. As one of the leading document scanning bureaus in Ireland, Digital Documents host a range of innovative solutions, enabling information to be captured quickly and accurately. Large format scanning is the process of digitising paper based plans, blueprints and large format drawings. Scanning large format documents/drawings can cut costs, improve work flow and modernise your practices. It also provides a safe storage option, offering easy access, sharing capabilities while giving you more storage space in your office. Offering a service that you can trust, whether you have a modern contemporary or antiquarian book, newspapers or the latest full colour glossy magazine, we take extreme care in handling your material during the scanning and digital conversion process. Our specialist book scanning team are extremely knowledgeable, experienced and dedicated to digitising your valuable collection of books to any required digital format. Learn more about Digital Documents Scanning & Capture Services.